Why do these bears seem to have emotive expressions or mischievous poses? The original generation of carvings produced in Yakumo often featured personified elements. Setting foot inside the museum, I was struck with an iconic Hokkaido souvenir image -- the fierce visage of a bear gripping a salmon in its jaws. The heritage of this art form dates back to 1922, when Yoshichika Tokugawa, the 19th feudal lord, brought folk crafts back from his trip to Switzerland, and used them as models to promote woodcarving as a side business for the farmers. This peasant art was originally made by Swiss farm folk to sell to tourists, and it's thought that Tokugawa brought it back to Japan with the intention to add cultural content to the daily life of people in Japan. 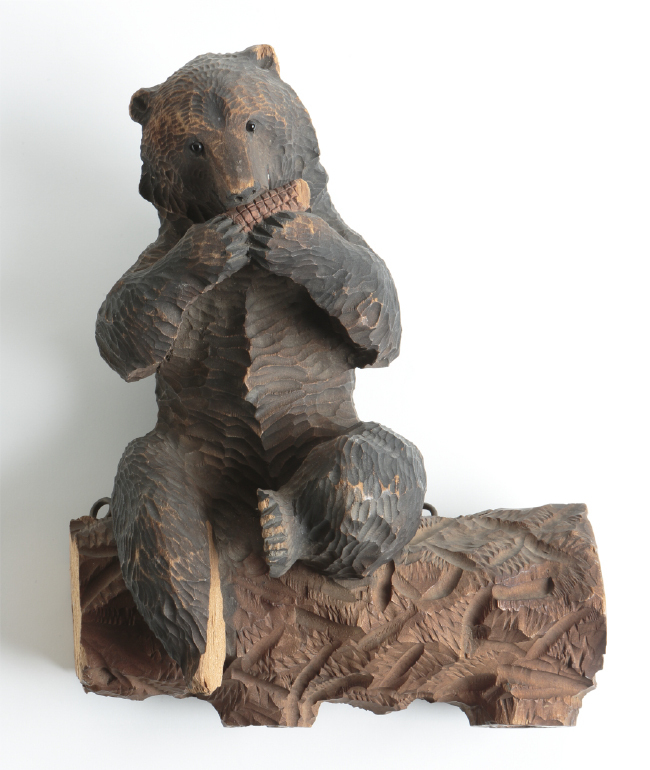 In 1924, the first Hokkaido-made bear woodcarving was created by a dairy farmer, modeled after this Swiss folk craft. In time, an art studies society was formed at Tokugawa Farm in Yakumo, and high quality works of art were marked with a brand and sold. 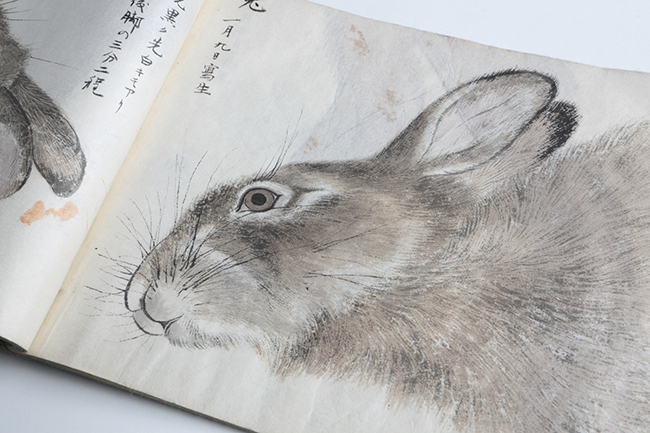 Yakumo's characteristic "hairline engraving" and "surface engraving"
A suiboku-ga (ink painting) of a rabbit by Tokura. Tokura's passion is even in the lines of whiskers. The kiku-gata (chrysanthemum-shaped) radial hair pattern is one characteristic of Yakumo woodcarving. 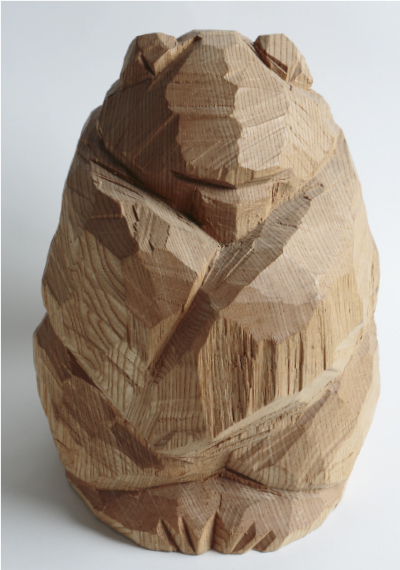 Shigeyuki Shibazaki began woodcarving while working on a farm. 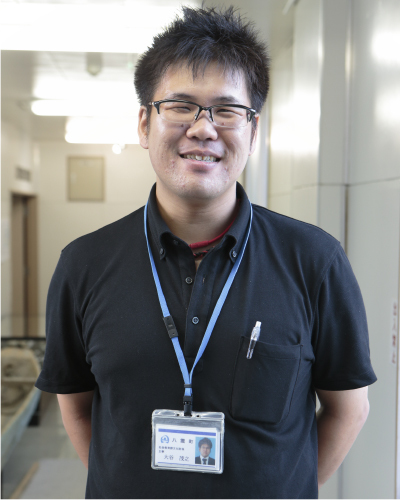 Finding he had considerable talent in “hairline engraving”, Shibazaki set off to pursue his own engraving style, eventually perfecting a unique “chip engraving” method, classified as a type of “surface engraving”. 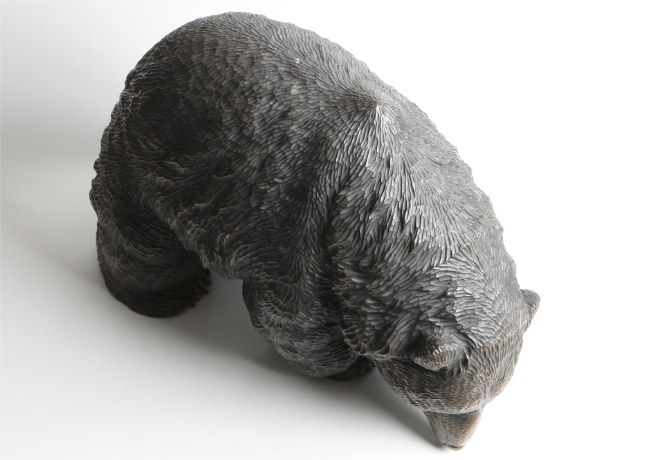 It’s said that the bear woodcarvings that originated in Asahikawa reached new heights of success only after Shibazaki’s works were brought to Asahikawa. 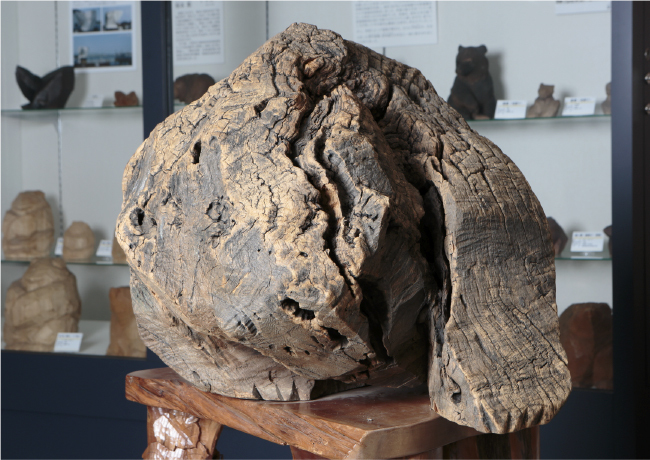 Shibazaki’s work appears as if the wood was only cut by hatchet. This collaborative work by Shibazaki and Isao Nemoto has been weathered by exposure to rain and wind. 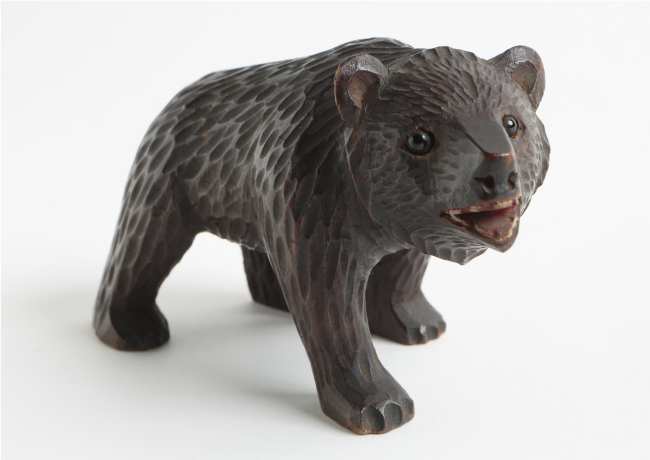 Bear cubs were raised at Tokugawa Farm, and used as models for woodcarving, giving rise a number of styles showing the bears in a more familiar light than the wild pose of a bear gripping a salmon in its mouth. However, with the onset of the Second World War, the art studies society was disbanded, and production of bear woodcarvings waned. Yoshichika’s bear hunting gun bears an Irish folk song inscribed in the stock. 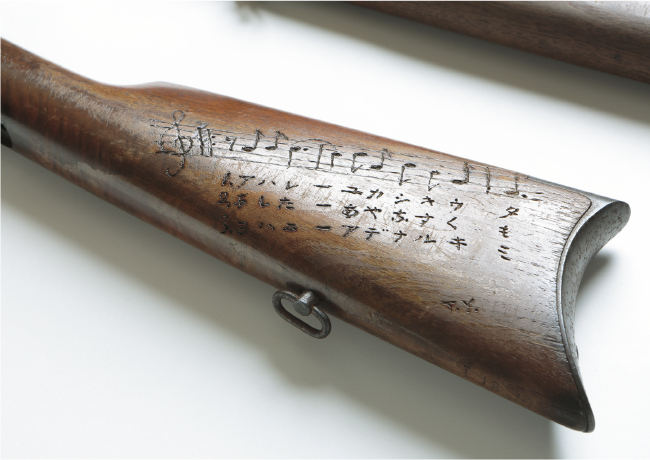 An Irish folk song is inscribed upon the stock of Yoshichika’s bear hunting gun. A work by Takiji Mogi, which was presented to Emperor Showa. 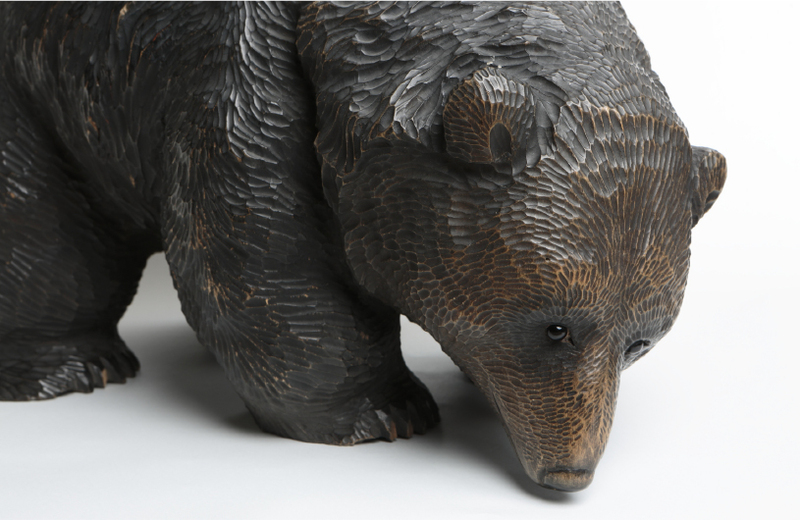 As the war went on, most of the artists stopped producing bear woodcarvings, but Takiji Mogi continued to produce bears with true-to-life hairline engravings, despite being called unpatriotic. Curator Oya remarks, "Without this man, Yakumo's bear woodcarvings would likely have faded away. He became a master of the craft and passed the art on to his successors." It's almost as if the feudal lord has looked over this culture as it flourished. 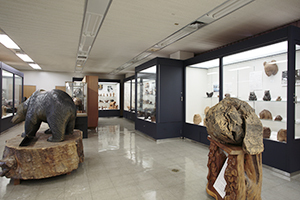 Japan's only such museum, with a collection of over 300 bear woodcarvings created in Yakumo and other regions, including Hokkaido's first bear woodcarving. 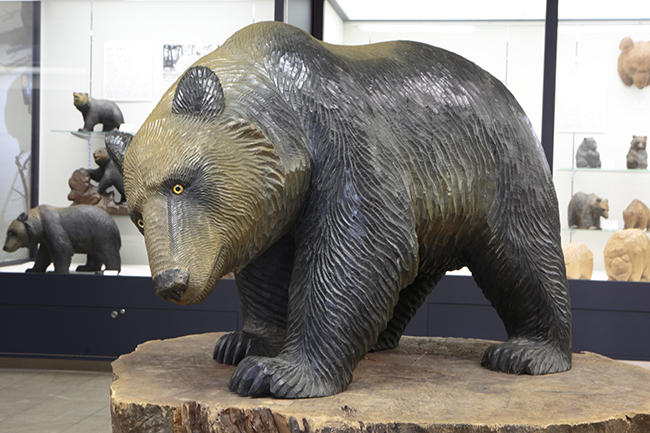 Informative exhibits introduce the Swiss peasant art that inspired these bear woodcarvings while displaying collections of folk crafts from throughout Japan and around the world.